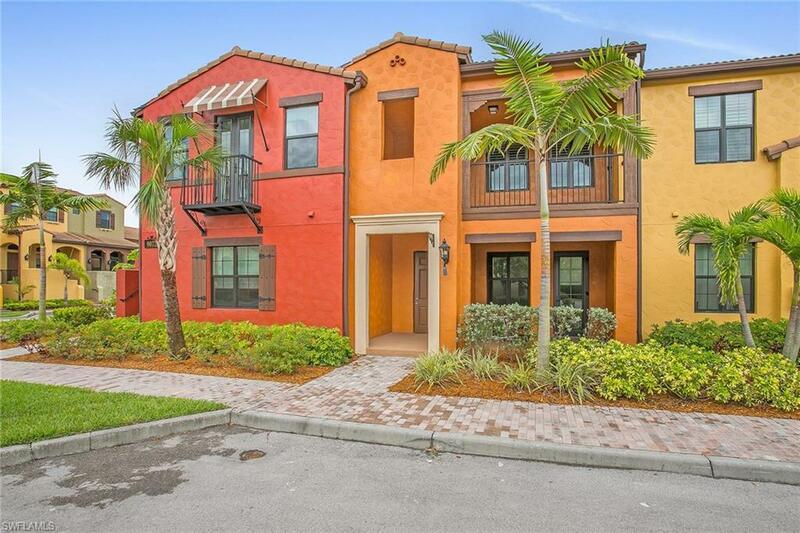 Enjoy carefree, resort-style living in this lovely second-Floor San Pablo unit at Lely Resort. Clean, comfortable, freshly-painted and move-in ready, this is the perfect seasonal or full-time residence. Built in 2015, this condo is in the best, most desired location, around the corner from the beautiful tree-lined Rialto Street and the Ole Town Center (resort pool, pub, shops, movie theater, fitness center, and more). From the privacy of your second-floor porch, enjoy breakfast or an afternoon siesta. The kitchen, with stainless steel appliances, makes entertaining a pleasure. The Master Bath has dual sinks, a sunken tub, and free-standing shower. Two additional bedrooms with another full bath, plantation shutters, a separate laundry room with full-sized washer and dryer, a private two-car garage, plus all of the additional builder upgrades make this condo a beauty and a bargain.